Friendswood is one of the best places to live in America. The small town maintains it’s idyllic image through regulating the picture of each home. When you are looking to change anything about your roof you need to deal with someone like Brinkmann Quality Roofing. The Brinkmann family has been servicing the area for over four decades. We stand behind our services so strongly that we insist we provide the best Friendswood roofing service in the county. Brinkmann has been the definitive name in quality roofing for years. The Brinkmann family has been passing along the gift of exceptional roofing for so long that there is nothing we haven’t seen with or dealt with before. 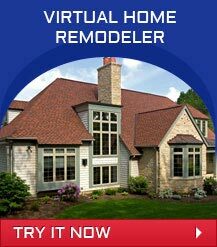 No matter what kind of roof you are looking for or service, we provide it for you. We provide every type of roofing style imaginable. Including the accepted variations of Tile, Slate, Composition Shingles, Stone Coated or Standing Seam Metal, and Cement-fiberboard. Re-roofing – Roof tear off is a standard part of the roof replacement process. You roof will come off in small pieces creating alot of roofing debris. Our commitment to you and your property will ensure that a thorough clean up will follow. When this process is a concern, there’s only one person to call and that’s us, Brinkmann. Roof Replacement – We also provide complete roof replacement. No matter what the reason for your replacement is, we will be there to install the new roof for you. If you would like to learn more about what to expect during the re-roof or roof replacement process, please click here for a detailed breakdown. Siding Replacement – Humidity and weather conditions do regular wear and tear for your siding. It’s no longer a question of “if” you’ll replace your siding and instead is a matter of “when.” When you decide to change your siding, call on the name best associated with Quality. Custom Gutters – There are many marvelous homes with beautiful designs in The Woodlands. When you need custom gutters or downspouts, give us a call, and we will give you our consultation for the best design that closest matches your home. We will work with you to acquire the proper permits and ensure all of the work is within proper regulation for your community. Brinkmann believes in quality roofing services. We have been in service for years because of the work that we do. We aim for the highest quality customer service, the fairest pricing, and the best roofing services available. If you would like to know more about our company, our Friendswood roofing, or anything else, please call us today at (281) 480-7663! Thank you for the great job on the roof replacement. I will go out of my way to promote your business and business practises. I love my new GAF Ultra Roof.